The International Day of Happiness 2019 was celebrated on March 20th with the theme "Happier Together", focusing on what we have in common, rather than what divides us. International Day of Happiness recognises the importance of happiness in the lives of people around the world. 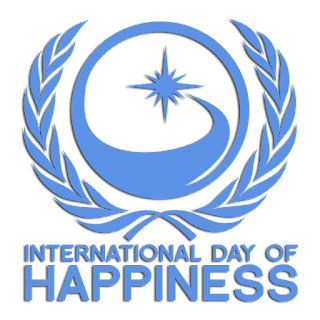 The concept of International Day of Happiness was conceptualised and materialised by UN special advisor Jayme Illien to inspire and spread a happiness movement globally and the first ever International Day of Happiness was observed on March 20, 2013. March 20th was chosen for International Day of Happiness 2019 for its significance as the March equinox. March equinox is a universal phenomenon felt simultaneously by all of humankind, and which occurs the moment when the plane of Earth's equator passes through the centre of the Sun's disk. Q. When is the International Day of Happiness celebrated?